There’s a gate to a land that nobody knows. Deep in the heart of Wishaway Wood is a world of fairies, pixies and goblins; a place where magical creatures come to life and anything is possible. Join sisters Ellen and Sophie as they discover the amazing fairyland at the bottom of their garden. Go to the Forget-me-not Fairies site. Marianne Musgrove is an award-winning children’s author and poet, and interestingly, a descendant of King Henry VIII’s librarian – you could say books are in her blood! 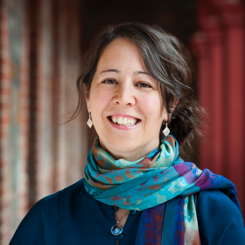 A former social worker and one-time tomato picker, Marianne finally found her calling as a writer. Her previous works include The Worry Tree, Lucy the Good and Lucy the Lie Detector. 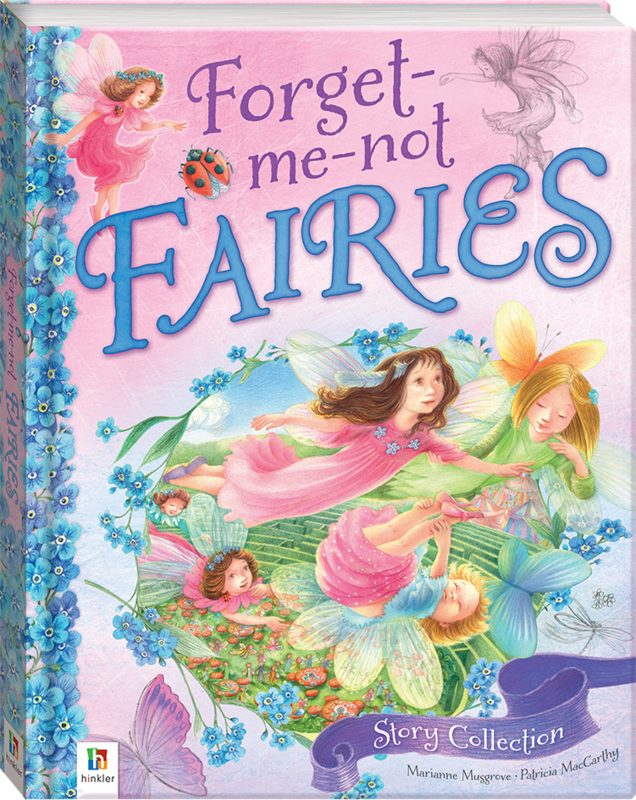 When Ellen and Sophie asked her to write down their adventures with the Forget-me-not Fairies, she couldn’t resist. Patricia MacCarthy graduated from Brighton Art College in 1983, with a BA Honors Degree in Graphic Design. Since then she has worked as an illustrator on children’s books, greetings cards, advertising, merchandise, posters and private projects. She lives and works by the sea in Sussex near Brighton with her husband, the fantasy artist John Avon, her two inspirational sons Laurence and James, and her ‘tuxedo-clad’, butterfly-devouring cat, Rimini! Hinkler is launching the Forget-me-not Fairies Story Collection in June 2013. A beautiful, fully-illustrated 192-page padded hardcover book, it contains 11 original stories about the adventures of Sophie and Ellen and their new fairy friends. The book also features poems, maps, songs and activities that are ideal for girls aged 5 to 8 years. Written by Australian author Marianne Musgrove and hand-illustrated by award-winning UK artist Patricia MacCarthy, the timeless themes and illustrations will capture the imagination of readers, young and young at heart. Thousands of hours have gone into creating these stunning new stories that will quickly become family favourites. Already gaining interest internationally, the Forget-me-not Fairies Story Collection is expected to take Australia by storm. • Mrs Milkthistle is a wise old fairy – don’t let her scatterbrained appearance fool you!